As many as 55 million people in America may have some form of dyslexia, according to Dyslexia International. Worldwide, the number of children and adults at risk of life-long illiteracy and social exclusion due to the disorder may be in excess of 700 million. With this tragedy of human potential in sharp focus, there is good news from Heraklion, on the island of Crete. A multidisciplinary team of doctors, engineers, and research scientists believe they’ve created a tool to screen for dyslexia earlier and with greater precision than ever before. Dyslexia is the most common of all learning disabilities, with a prevalence of more than 10 percent of any given population. Despite its prevalence, the overall impact of the learning anomaly cannot be measured because so many who are afflicted go undiagnosed. The key to helping the millions of people affected by dyslexia lies in the early detection of the reading disorder. Now Cornell University Professor of Ophthalmology, Dr. Ioannis Aslanides and his expert team in Greece say they have invented a new testing tool that can screen dyslexic children very early, precisely, and in minutes instead of hours. The non-invasive tool they’ve created, Rapid Assessment for Dyslexia and Abnormalities in Reading (RADAR), is a platform to screen children who might otherwise be diagnosed late, or who might go undiagnosed altogether. The tool is currently being evaluated by experts at Harvard Medical School. If the testing pans out, RADAR may be a beacon of hope for the families whose kids suffer from dyslexia and other reading disorders. RADAR came into being in a completely organic way, the byproduct Aslanides’ research and determination to help his son overcome social and academic difficulties. Aslanides’ young boy Minas suffered for years with undiagnosed dyslexia, facing the circuitous doubt game that grips almost everyone who suffers from these learning disorders. When his son was 13, Aslanides set out to end the interminable frustration and marginalization his son faced. The invention of RADAR helped Aslanides verify what conventional medicine could not. Minas is now 22 and in his third year of medical school, but he had to have special coaches and he went through very difficult times to get there. Before his dad began testing RADAR, there was no digital, objective, quantifiable method to approach to diagnosing dyslexia. Current methods for diagnosing dyslexia and other reading disorder are still almost totally subjective and based on human observation. Aslanides says RADAR is mathematically quantifiable. RADAR is a computerized screening tool which monitors a series of eye movement parameters while a subject reads sample texts. The 10-15 minute reading test employs numerical data and math models that are not examiner dependent in order to screen the subject for dyslexia and other reading disorders. Trials by the RADAR team on 70 subjects showed the system to be more than 99 percent accurate at early diagnosis, and the method is also capable of providing an individual treatment plan with incremental progress assessment. During the reading process, a subject’s eyes move rapidly from one point to the next in order to input and understand the passage being read. Typically, the normal reader’s eyes shift every quarter of a second with very brief fixation points in between movements. It is during these 250 to 300 millisecond pauses that information is gathered and processed by the brain. The average horizontal (saccadic) distance traveled in between sequential fixation points is between 7 and 9 characters. Backward movements, called regressions, only take up about 10 to 15 percent of the total reading time in the typical reader. This “visual path” is what the RADAR researchers studied in order to develop the new technology. Monitoring and evaluating a subject’s eye fixations and saccadic movements while reading a text, RADAR is able to map the subject’s reading path. RADAR next applies complex mathematical algorithms in order to decode the vital information of the path and the useful conclusions about each reader’s cognitive capability. The whole process takes only about 10 minutes, but the system identifies which words readers have trouble with, and which ones are totally ignored. The eye tracking technology of the RADAR system is used at a distance to capture eye movements, which are then analyzed and compared to historiographical data from control groups. The real costs of dyslexia and other reading disorders to society are not fully known. However, the European Dyslexia Association informs us that those affected will suffer consequences such as; failure in school, employment difficulties, general communication impairments, and social segregation. RADAR’s team told us they were looking at the plausibility of an Australian test market. According to their Australian researcher, dyslexia diagnosis there takes between 4 and 5 hours, and costs in between $800 and $1200 per case. These figures are within the norm worldwide. Over the past several decades a special needs epidemic has exploded on school districts across America. Meanwhile, diagnosis is haphazard. Hettleman has been a part of a system that is incapable of coping with and supporting children with dyslexia and other reading disorders. In another study, he expanded on his work in the Baltimore system to address how the overall U.S. public school systems fail kids. A report titled “The Invisible Dyslexics,” showed that dyslexia sufferers were sometimes “dumped” into general special-education programs for lack of a better solution. The study also told of the National Assessment of Educational Progress reports from 2017 which showed only 7 percent of eighth-graders in special-education were proficient in reading. The numbers are mirrored in Europe and throughout the G20. RADAR arrives at a time when educators are at their wit’s end trying to accommodate a flood of children who cannot keep up, and who have ever-diminishing hopes of fitting into an ultra-competitive workplace. Neurological research suggests most reading difficulties, including dyslexia, are caused by core deficits in phonological awareness, which can be caused by the visual disconnect and faulty decoding. Put simply, dyslexics get stuck on fixation points because they can’t make the connection between the symbol and the mental or voiced sounding out of what they read. Dyslexics also have problems with something termed as “rapid naming,” or quickly retrieving the names of very familiar letters and numbers. All the research shows these disconnects can be identified by a tool like RADAR as early as kindergarten. 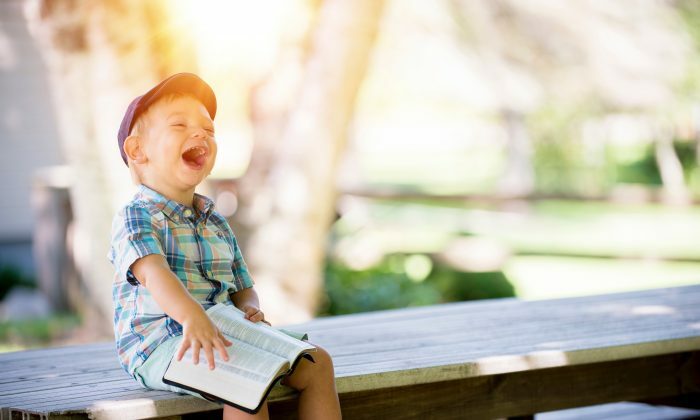 “Identifying reading abnormalities early is essential for delivering a timely and ultimately successful intervention,” said Dr. Stelios Smirnakis, the lead clinician in RADAR and a renowned neurologist at Harvard. Smirnakis says RADAR is noninvasive, easy to administer, and a cost-effective way to identify children likely to have reading difficulties. “It is an important advance that holds great promise for helping language professionals deliver optimal care,” he said. If the Harvard and Oxford viability results are positive, then RADAR testing could become common for school-age children and a staple in every school for early diagnosis and treatment options. The fact that 90 percent of children with dyslexia can be educated in regular inclusive classroom environments means millions of children who might otherwise be held back by the personal, academic, and social repercussions of these disorders will end up more balanced, happier, and more productive. Aslanides and his colleagues have a lot more to do before RADAR can achieve widespread applicability. Much of the technology and clinical work has been done, but more feasibility and clinical studies are needed to certify the method. After these trials, benchmarking, and standards development, and field trials, RADAR should be ready for marketing and distribution. Aslanides and his partners are now seeking strategic partners to further develop and deploy RADAR and hopefully make dyslexia testing objective, repeatable, accurate, and affordable.